If Fisher-Price didn’t already take it, my new slogan would be “Laugh and Learn”. There’s no question about it, I like to laugh during my sessions and I like when my clients laugh too. *Amazon Affiliate Links included for your convenience. Laughter is proven to have “physiological, psychological, social, spiritual, and quality-of-life benefits.” (Mora-Ripoll, 2010). Smile, laugh and be happy… who doesn’t want to be happy? Keeping these factors in mind, I try to select materials that compliment my philosophy. 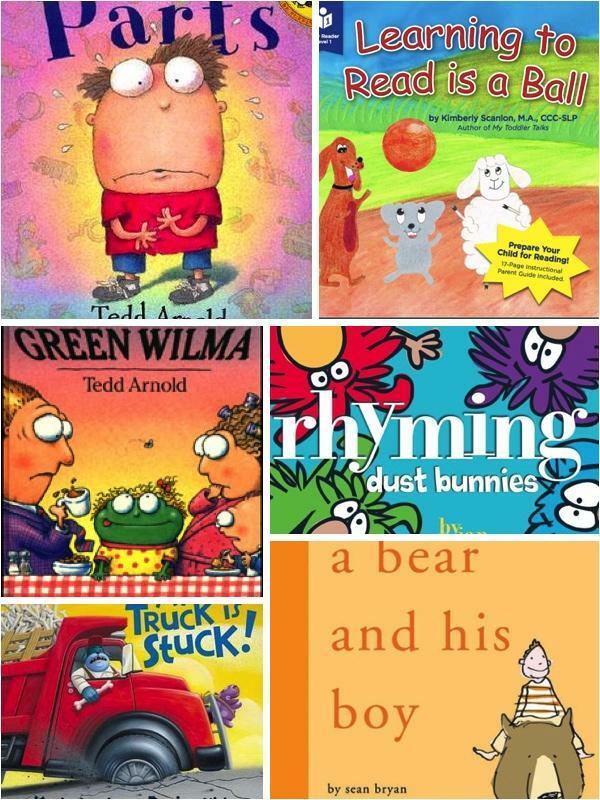 Here are 6 FUNNY rhyming books that you and your child should DEFINITELY read together. Tedd Arnold is hilarious. I love his books, which is why two appear on my list (see his more famous book Parts further on down.) 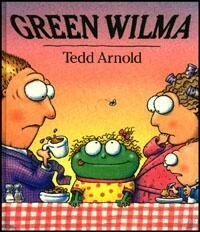 I don’t want to spoil the twist at the end, but Green Wilma is a funny story about a little girl who wakes of green and croaks like a… read this rhyming book to find out more! I’ll be honest, when I first read, My Truck is Stuck! I wasn’t immediately in love with it. 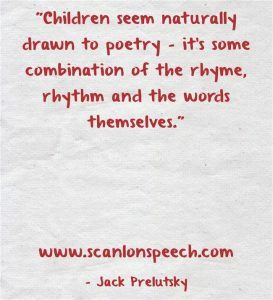 Perhaps it was because I had heard such great things; cute, repetitive, loaded with rhymes and multiple opportunities to count. It wasn’t until I heard my husband reading it aloud to our daughter that I realized it’s value. Once you get into its rhythm, My Truck is Stuck! 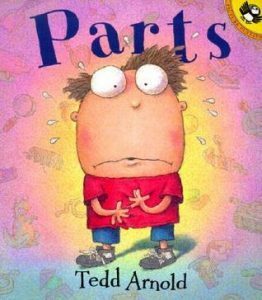 is a fantastically fun read aloud book. I also can’t help but share this adorable video of a grandfather (aka “Pop Pop”) virtually reading to his grandson…this Pop Pop also does a WONDERFUL job of explaining what’s going on in each picture. For more recommended read aloud books please see this comprehensive list by Read Aloud America. 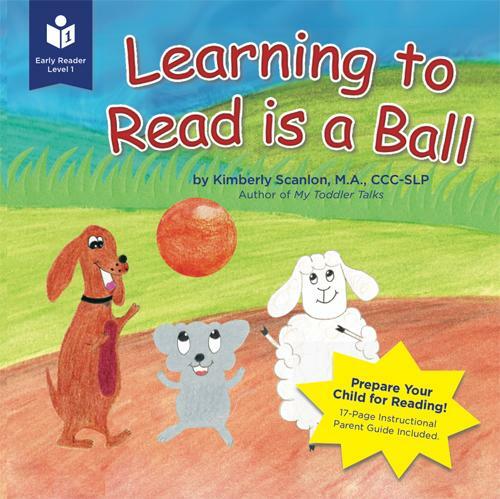 Learning to Read is a Ball is my latest book. It’s been in the works for about 2 years and has been a labor of love. 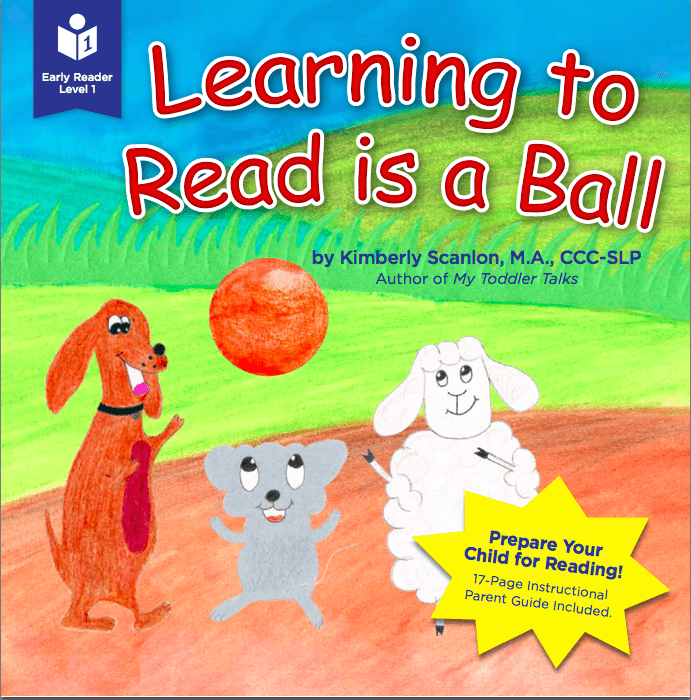 This adorable picture book is loaded with fun filled rhymes and rhythmic meter that not only begs to be read aloud but will also have you (the adult) chuckling and your child smiling. 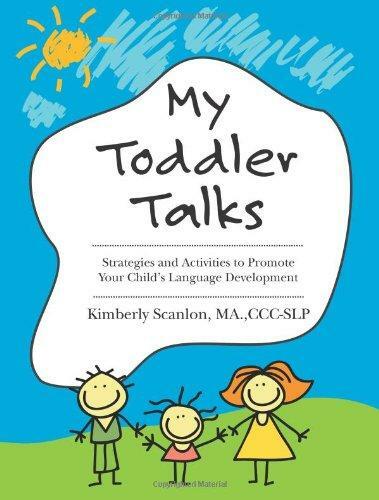 If you are interested in learning more about oral language (e.g. 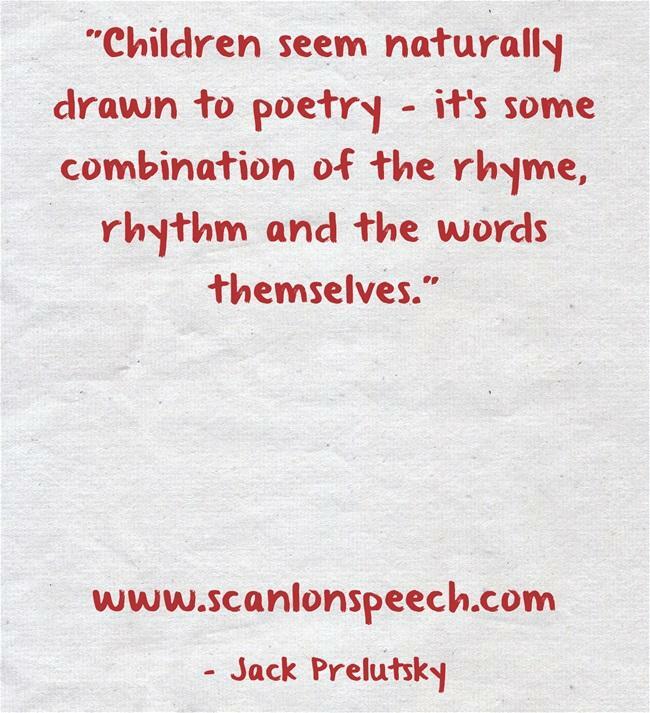 vocabulary development and story telling tips), phonological awareness (e.g. rhyming and alliteration) as well as print awareness, a 17 page guide is included. 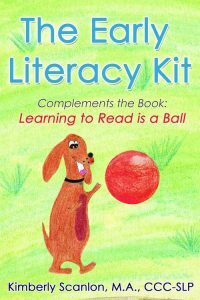 The guide shows you specifically how to use Learning to Read is a Ball to promote these skills. If you’re not interested in learning about these concepts, that’s okay too. The picture book stands alone as a super fun, colorful book. Here’s the humorous book Parts, I mentioned earlier. Recently, I had the privilege of writing a guest post for Communication Station on how I use Parts during my speech therapy sessions. I also created a set of FREE worksheets to compliment Parts available on her website. I LOVE THIS BOOK. Any child who is learning to rhyme should read this book. It’s smart, lively, kind-hearted (no one makes fun of the dust bunny Bob when they think he can’t rhyme), simple (not loaded with too many words) and educational in an entertaining way. A children’s librarian named Betsy wrote an amusingly descriptive review on Goodreads I I highly recommend reading it if you’re interested in learning more about rhyming dust bunnies. …you’ll be laughing in no time. 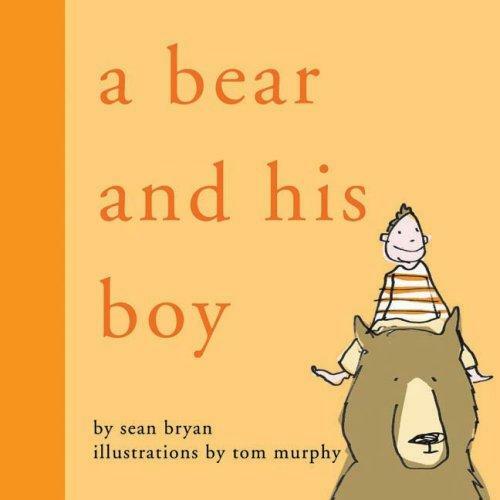 a bear and his boy tells a charming story about a bear named Mack who wakes up with a boy on his back. Catch that rhyme there? Mack and Zach start their day together doing lots of fun things. This book is full of delightful rhymes that your beginning reader can anticipate and try to complete, making them feel like they are reading. I also recommend this book for any children who have difficulty with bilabials. Mora-Ripoll, R. “The Therapeutic Value of Laughter in Medicine.” Alternative Therapies in Health and Medicine 16.6. (2010): 56-64. Pubmed. Web.23. Jan.2015. 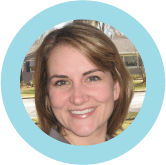 Kimberly Scanlon, M.A. 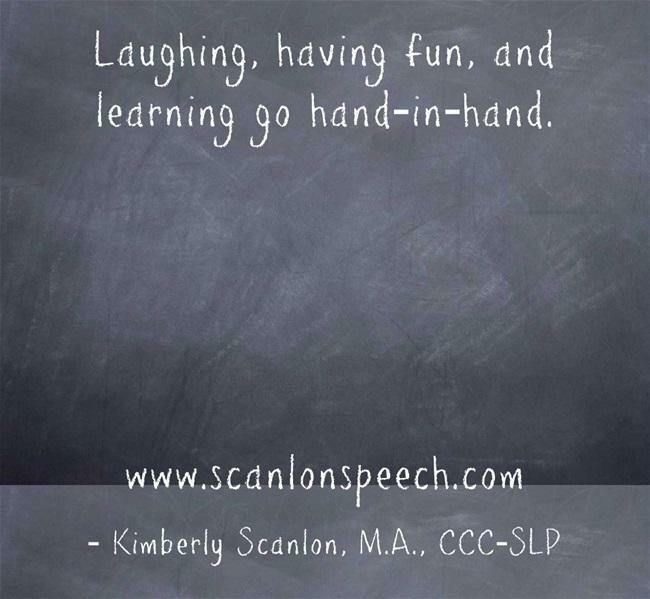 CCC-SLP is a speech language pathologist, an author and a mother. 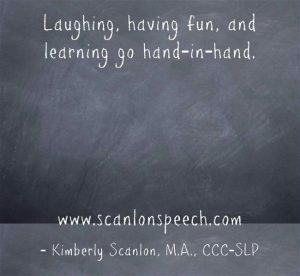 As the owner of Scanlon Speech Therapy, LLC, a unique boutique practice in Bergen County, Kimberly embraces individuality and treats the whole person. Her goal is to spread compassion, hope, and some speech, language and literacy tips one moment, one person at a time. 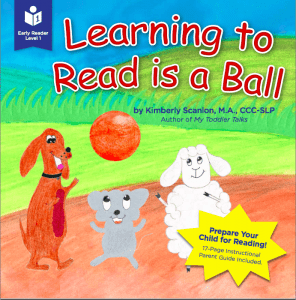 Her first book, My Toddler Talks: Strategies and Activities to Promote Your Child’s Language Development and her second book, Learning to Read is a Ball are available for purchase at online at Amazon and Barnes and Noble.